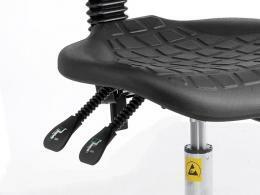 What is the purpose of the ESD Regular Lift Castor Base Chair? 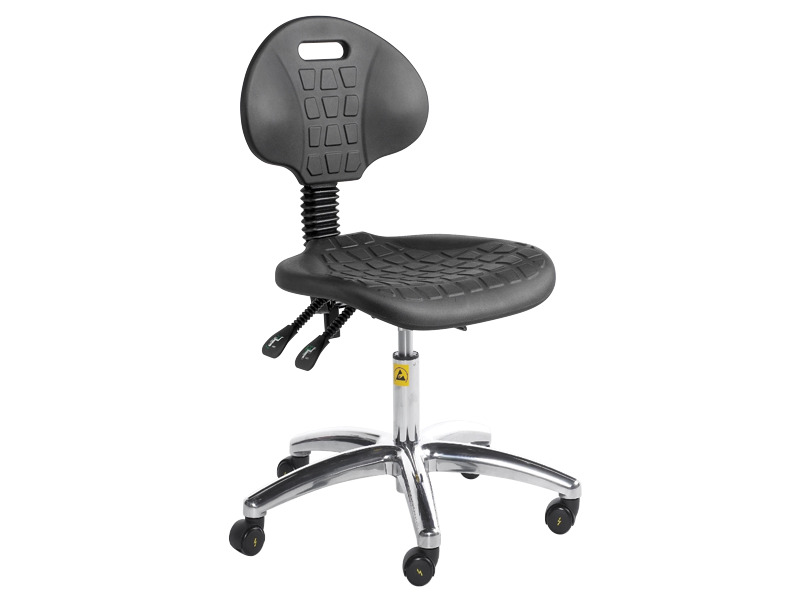 The ESD Regular Lift Castor Base Chair takes comfort to another level with an ergonomic seat and back design. Easily adjustable up to 535mm high, the tilting seat and fully adjustable back mechanism of the ESD Regular Lift Castor Base Chair let anyone find their comfort zone with ease. The ESD Regular Lift Castor Base Chair features a chrome 5-star base with twin-wheel casters for stable movement and a excellent balance when seated. 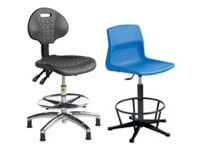 The ESD Regular Lift Castor Base Chair is unique among most office chairs for offering not just the standard stability, but ergonomic comfort. The seat cushions are just soft enough so your body doesn’t lose sensation from lack of blood flow. The sturdy base features twin-wheel casters for added stability while working or when moving the ESD Regular Lift Castor Base Chair around the workplace. Even if you’re in a busy workspace with many people walking around, the ESD Regular Lift Castor Base Chair will provide you with a level of security you can’t find in many other tall chairs. 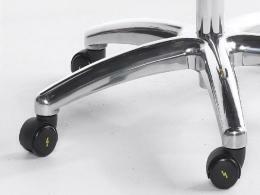 When you need to work on an elevated level, the only way to sit is on the ESD Regular Lift Castor Base Chair. This chair’s unique ergonomic design sets it apart from all other office chairs before it. There are few office chairs that are as rugged as they are practical and the ESD Regular Lift Castor Base Chair is definitely one of them.